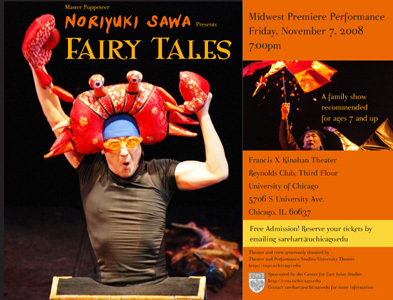 Nori's new production 2007,"Shadows from The Cherry Orchard"
Directed, Designed and Performed by Noriyuki SAWA. as the international collaboration between Japan and Czech Republic. by young students and artists. 2003 (PQ-03) produced by OISTAT EDUCATION COMMISSION. In The Stanford University of USA, 2004. In Tokyo Aoyama Enkei Theatre, 2004.
community and he was our village’s favorite entertainer. " 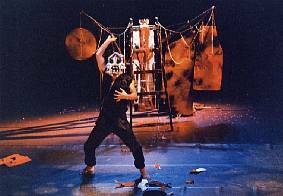 MACBETH -SOLO MIME THEATRE WITH MASKS AND PUPPETS-"
puppet theatre, creates a production made in heaven. intriguing and extraordinarily well performed." AND FURTHER INSPIRED BY HIS OWN WIFE'S EVIL DESIRES. AND THEN FINDS HIS HANDS ARE STAINED WITH BLOOD. IT'S BLOOD THAT IS EVER AFTER STAINED HIS DESTINY. THIS PERFORMANCE WAS CREATED AS A SOLO SILENT DRAMA. 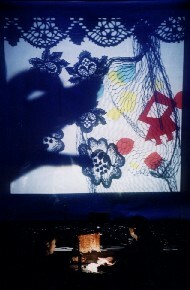 AND OTHER SIMPLE MATERIALS ON THE STAGE. NOW, A NEW “MACBETH" COMES TO YOU. "Girl With Red Riding-hood (Germany)"
"Three Pigs And A Wolf(England)"
"Tortoise And Hare (Greece)" and so on. but also many shadows on your skin. (It could be flexible according to your program). because fairy tales are usually too much cruel and inhuman as you know well. No dialogue. 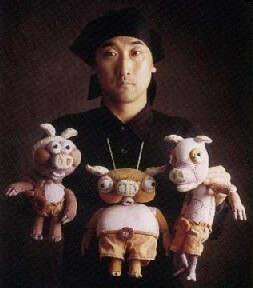 Nori uses Body movement, Projection of images, Masks, Puppets and Music. 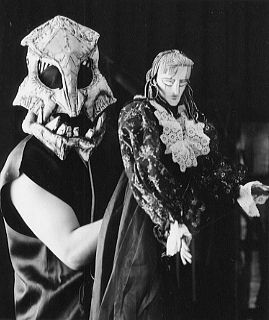 "FOREST-SOLO MIME THEATRE WITH MASKS AND PUPPETS-"
HOVERING BETWEEN LIFE AND DEATH. AND LURES HIM FROM THE PLACE WHERE HE IS LYING. HE SOARS SKYWARD WITH HER. TO RETURN INTO HIS BODY. THE WOMAN THEN LEAVES, AND THE SOLDIER WAKES. of gems shining in the darkness." 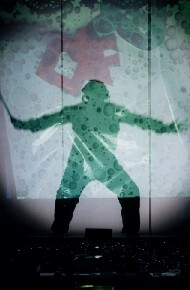 "PIECES-SOLO MIME THEATRE WITH MASKS AND PUPPETS-" . "A SEED","A FISH","STARS" AND MORE. EUROPE, ABOUT NORI'S FEELING OF WANDERING ON THIS PLANET. PERFECT SHORT PERFORMANCES FOR CHILDREN AND FOR ADULTS, TOO. 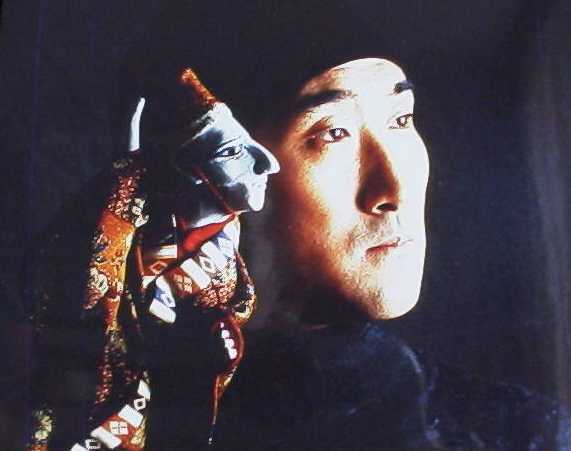 "THE SPECIAL MECHANIC OF JAPANESE PUPPET"
The Japan Foundation New York Office. and supported by The Japan Foundation. By now, performed in more than 25 countries. The University of Chicago; London Puppetry School and so on. 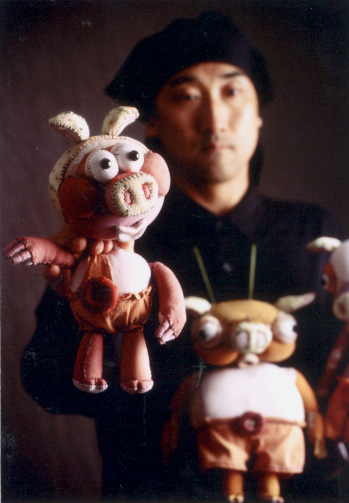 Member of UNIMA (International Union of Puppetry). Charleville-Mezieres, France and DAMU-Prague, Czech Republic. The European Prize "Franz Kafka Medal" was given. Produced the international project "A Plague O' Both Your Houses !! 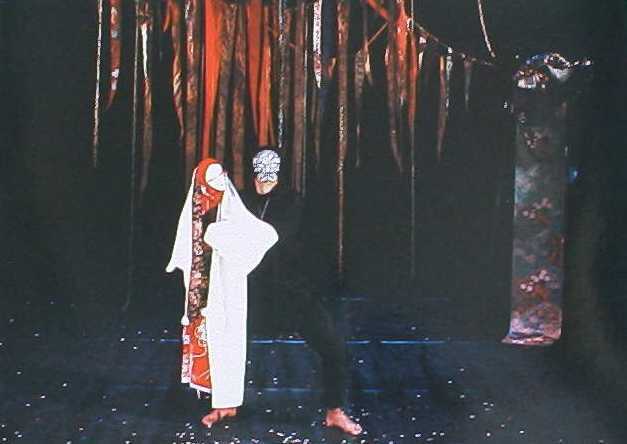 -Shakespeare's Romeo and Juliet" with Theatre DRAK, Czech Republic and The Japan Foundation. 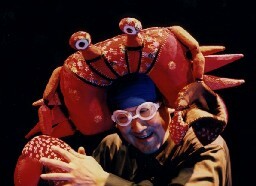 and given The First Prize of The Prague Children's Theatre Competition 2002. Prized "Best Performance For Children" to the solo performance "Fairy Tales"
in the International Puppet Festival in Ostrava "Spectaculo Interesse 2003", Czech Republic. Invited to the Stanford University, USA and performed “King Lear”,Also instructed the workshop for students. produced by The Theatre LaMaMa, etc. and The Jim Henson Foundation. in the International Puppet Festival in Katowice, Poland. Toured with solo-show, in Italy, Spain, Finland, UK, Japan, Korea and Taiwan. Created puppets for the MGM movie "Hannibal Rising". 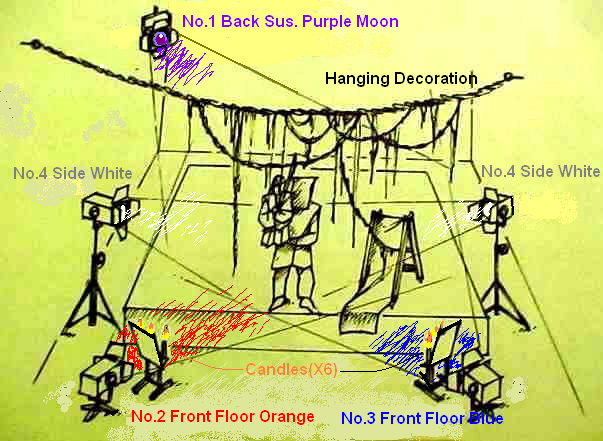 International Stage Design Exhibition) for different country’s students. UK and the Municipal Children’s Theatre in Sapporo, Japan. 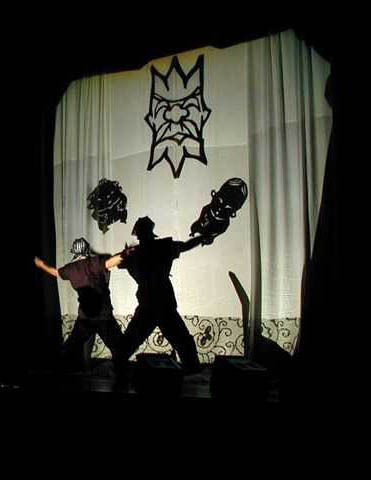 (International Union of Puppetry) 2008, Perth, Australia. and in the Cultural Center of the Japan Embassy, Prague, Czech Republic. 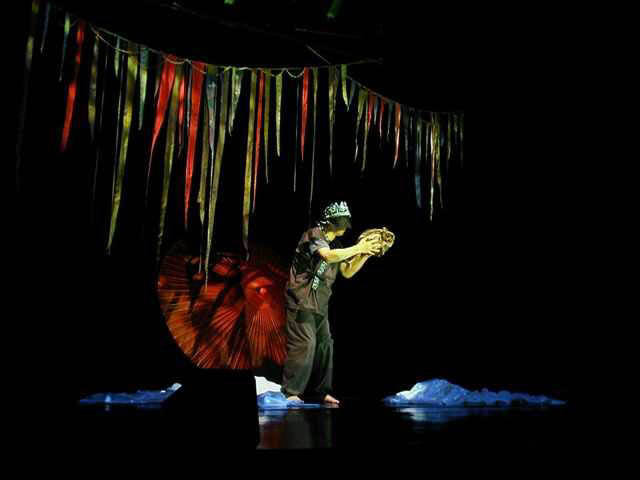 Solo performance “Fairy Tales” was prized “the Best Acting” in the International Puppet Festival in Katowice, Poland. Created a new show NINJA and some new packages of solo-tour. New tours to Russia and Poland. Children´s Theatre Festival "Subotica 2009" for "The Legend of the Forest". 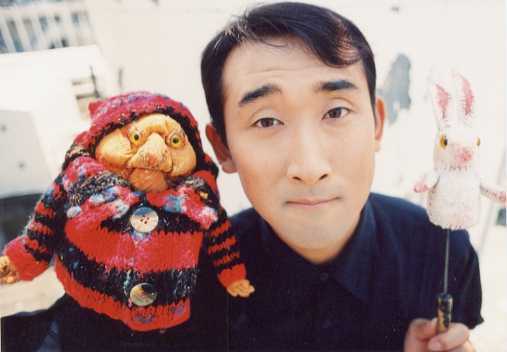 Created the special TV program with puppets and song "Minna no Uta" produced by NHK, Japan Broadcast Association. 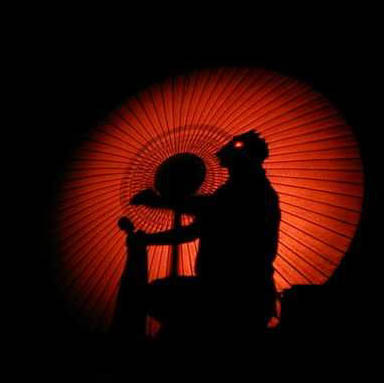 in Festival Gliwice and created the new show with Katowice Theatre "NARANASHI". NINJA had the premier in Tokyo, Japan. 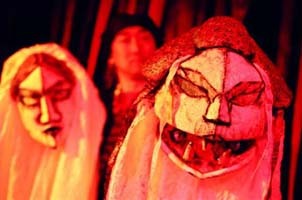 The special performance project in Japan, Puppets with the animals in Zoo, and the Opera "Iolanta" (Over 1.500 audience). Tour to Perm (Russia) - Imatra (Finland) - Katowice and Zywiec (Poland) -Kosice (Slovakia) - Nagano and Tokyo (Japan). Received "the Special Prize of the Agency, European Capital City of Culture, Katowice 2016". Directing and design "Cinderella" for the Theatre Ateneum, Katowice, Poland. 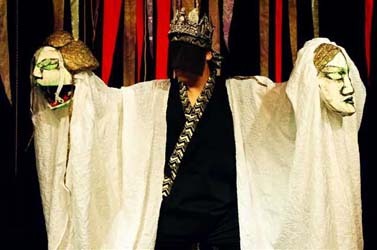 Performed and had workshops in The International Puppet Days 2012, Izmir,Turkey. and The University of Chicago. 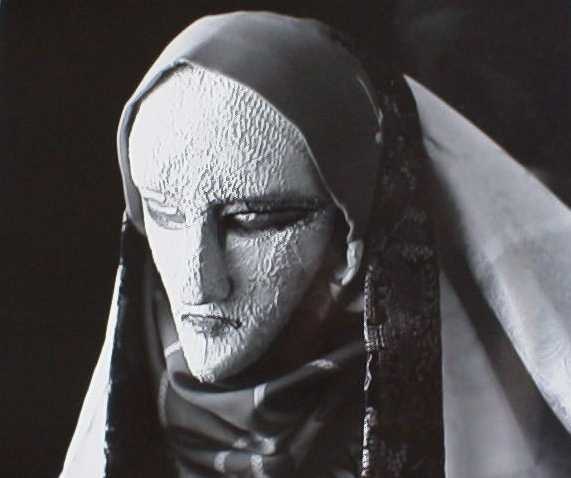 (Theatre DRAK, Theatre European Regions, Hradec Kralove, Czech Republic) and in Japan (Iida Puppet Festa, Japan). Started the special course for "Over 60 years old" participants in Iida, Japan. 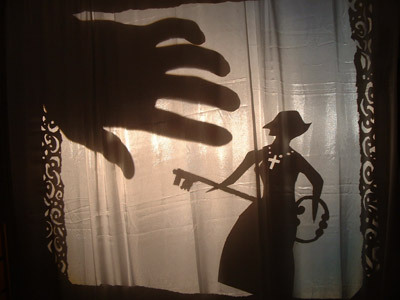 and LGM (Puppet Theatre Maribor), Slovenia.